A tsunami struck western Java and southern Sumatra islands during the evening of Dec. 22, 2018. Indonesia’s geological and weather service says the tsunami was likely caused by undersea landslides in the Sunda Strait following an eruption by the Anak Krakatoa volcano. According to CNN, at least 430 people were killed and about 1,500 injured. Almost 22,000 people are displaced and dozens of people are still missing. When I read about this tragedy, I immediately remembered about the tsunami in Indonesia on December 26, 2004. 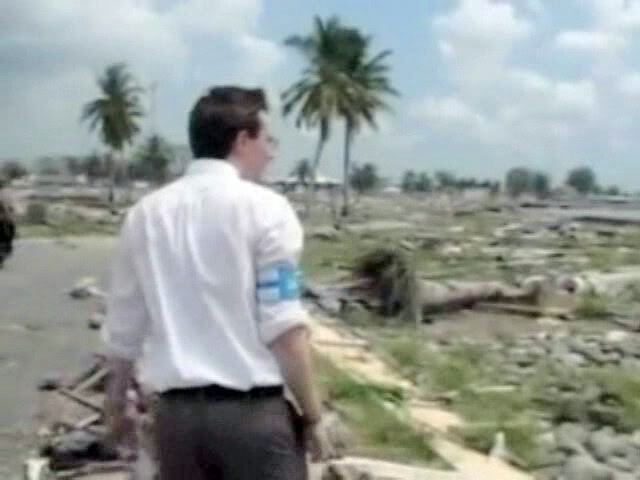 Clay Aiken visited the devastated area as a UNICEF Ambassador. On Sunday, 26 December 2004, the greatest earthquake in 40 years occurred about 150 kilometers off the west coast of northern Sumatra Island in Indonesia. The earthquake generated a disastrous tsunami that caused damage in 18 countries and destruction in 11 countries bordering the Indian Ocean. The death toll count was almost 300,000 people. 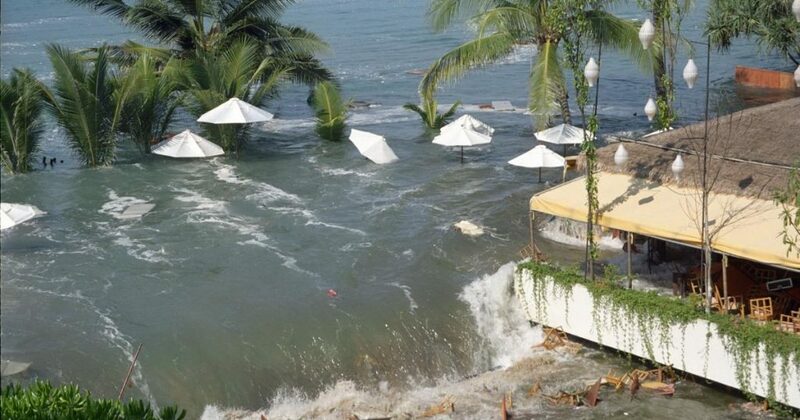 Over 5 million people were affected by the tsunamis and well over a million were left homeless. Of the fatalities, almost half were in Indonesia with very high casualties in Sri Lanka, India and Thailand as well. Waves of up to 10.5 meters in height struck Northern Sumatra, the Nicobar and Andaman Islands, Thailand, Sri Lanka, and India. Destructive waves also struck the Maldives, Somalia, Kenya and the islands off the African coast. At this time, a massive international aid effort has rebuilt tens of thousands of homes, schools and roads. Over 7 billion U.S. Dollars have been provided as humanitarian aid for those affected by the tsunami and as a result many of these regions have recovered sufficiently to provide for their inhabitants. However, there remains much to be done. In Sri Lanka the Tamil Tigers (a guerilla organization) have prevented much of the necessary aid being conveyed to affected people. Throughout Indonesia, Malaysia and Thailand fishing villages have been destroyed beyond repair. The occupants of these villages simply have nowhere to go and they still have nothing. Each year since the tragedy, the communities that have been affected by the Tsunami have had touching memorial services. Last year, many of the communities included candles floating in the ocean as a part of their service. He saw firsthand how UNICEF was successfully addressing the physical and emotional needs of children affected by the disaster, and he brought this message of hope back to Congress. The new celebrity ambassador pointed out that the assistance Congress provides to UNICEF in the annual appropriations enables it to be an effective partner of the United States in responding to emergencies like the South Asian tsunami. He testified that the funding provided by Congress to UNICEF is an investment that yields returns for children in jeopardy around the world. 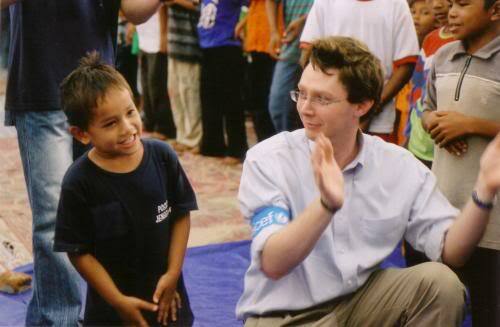 Clay Aiken is an example of an accomplished celebrity who is lending his talent and heart to bring UNICEF’s work to the attention of the decision-makers in Washington. He is among those who truly serve as ambassadors to the legislative leaders who can help make this a world fit for children. When I look back and remember, it reminds me of how very lucky I am. It also makes me very proud to be a fan of Clay Aiken. After all, this is the kind of thing that I expect when I think about Clay! A person is defined by what he chooses to do with his life, not by what happens to him. You are so right, not only the voice but Clay's heart brought me into this circle. He has had me ever since American Idol. 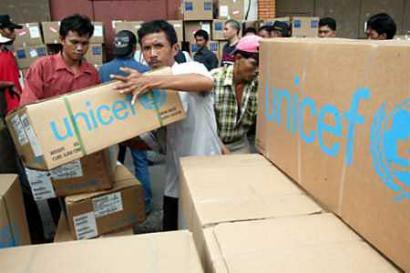 When I saw the devastation of the tsunami on TV last week, I immediately thought back to when Clay represented UNICEF in 2004. It was mind boggling to see huge ships carried by the force of the water many miles inland. I'm sure Clay thought back to that time when he saw the news last week. He was so tender with the children he worked with in the 'classroom'. Feel the same way – we are here all of these years not only for the voice but Clay's love and compassion for those that need help. These Tsunami have caused so much sorrow and devastation – Clay answered the call many times at many places! God bless him for caring so much! Error: Error validating access token: Session has expired on Tuesday, 21-Aug-18 16:13:01 PDT. The current time is Friday, 19-Apr-19 05:31:48 PDT.